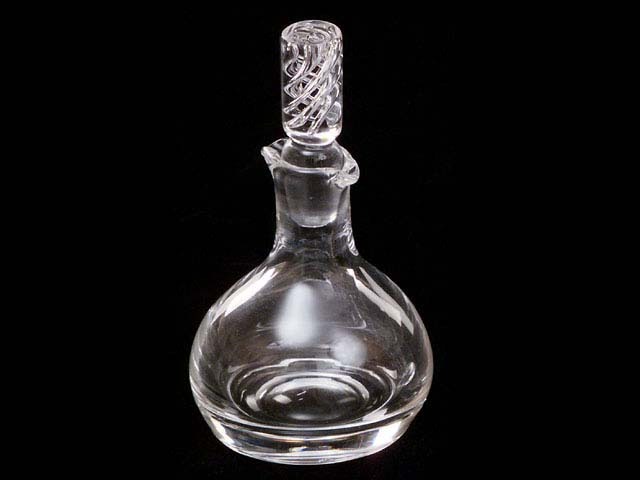 Dual spout blown crystal cruet with internal spirals on stopper. 3 3/4" tall at the lip x 3 1/16" diabeter at the widest x 5 1/4" tall to the top of the stopper. Condition excellent but tiny (c, 1/32') chips in stopper rim. ..... $15 SORRY!!! SOLD!